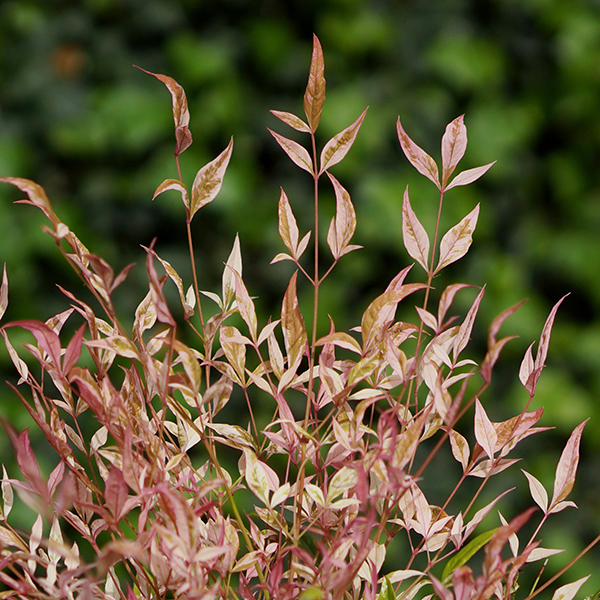 Also known as Heavenly or Sacred Bamboo, Nandina will bring a bright flash of dazzling colour to your borders or patio pots, making it invaluable in winter when there's little colour around. 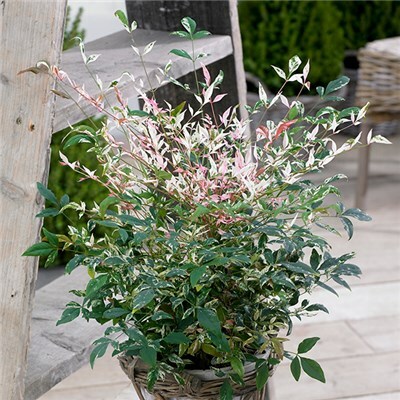 Not unlike a colourful version of our own native holly, Nandina has a bushy upright habit, with toothpick-straight stems making it an excellent candidate for containers - and this particular variety has amazing variegated leaves which give off a sultry pink glow. As it's evergreen, Nandina retains its foliage throughout the year and the colours change as temperatures dip, taking on deeper and more saturated hues.A true multi-season feature plant, in spring new leaves emerge flushed pink, green and cream, then in summer, small creamy-white flowers are followed by green berries, before the leaves develop more colour and the berries turn sealing-wax red - just superb! 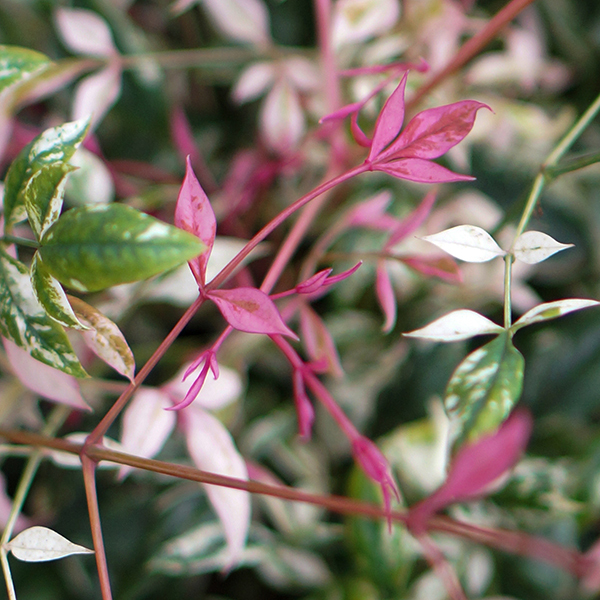 Really easy to grow - just plant it and leave it! 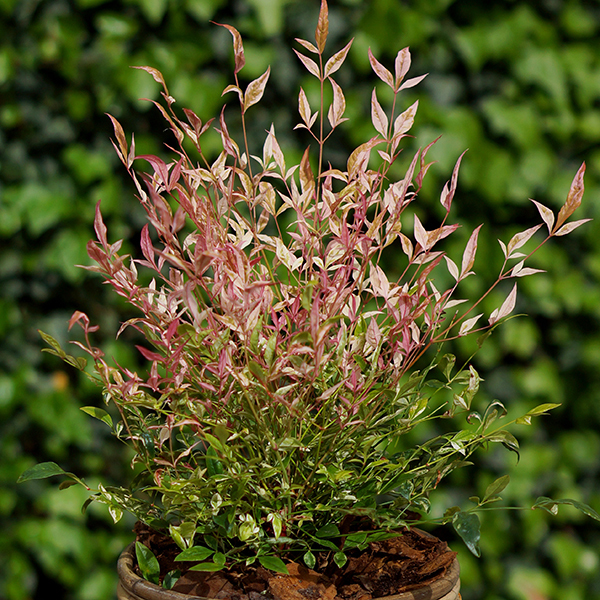 Supplied as: an established plant, in a 2L pot - ready to pot on.